Summer is on the horizon, which means it's time to start enjoying seasonal beverages — like sangria! 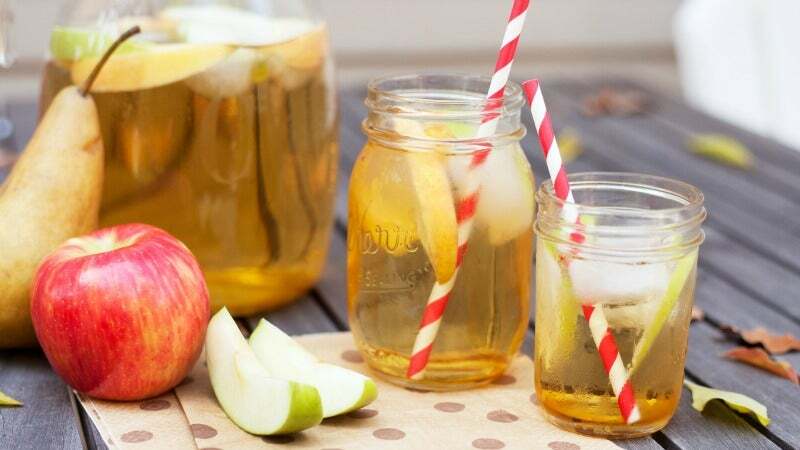 To give this tasty pitcher of boozy goodness a makeover, just swap wine for apple cider. You can use Bon Appetit's recipe (linked below) as a template, but the main things you'll need are a six-pack of hard cider — I'd go with a drier variety — and apple brandy. From there, you can add freshly sliced fruit (apples, duh), cinnamon sticks, star anise, or a simple syrup (I vote ginger). Stir it all up in a pitcher with ice, pour and sip.